Amphioxus Immature Adult, w.m. Microscope Slide is rated 1.0 out of 5 by 1. Rated 1 out of 5 by Darcy from poor quality Carolina graciously sent me a sample slide free of charge, for which I am grateful. I have Carolina-prepared Amphioxus slides that are ~30 years old to compare to, and those are excellent. The current equivalent slide is of unsatisfactory quality. The specimen shows handling and processing damage, and is insufficiently cleared. Internal details can not be seen. 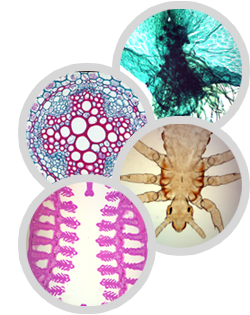 For over 70 years our mission has been to provide educators with top-quality microscope slides for botany, zoology, histology, embryology, parasitology, genetics, and pathology. To fulfill that mission, we depend on our experienced, professional staff's commitment to finding new and innovative ways of meeting your classroom needs at an affordable cost. The result is an extensive collection of prepared slides for educators at all levels of instruction backed by our expert technical support. We welcome the opportunity to prepare custom slides and sets to your specifications. For more information, please call 800.227.1150 and ask for the Microscope Slides Department.